The US policy has been to do nothing and allow the development of an international response. We are witnessing the slow and sometimes painful strategic gains of this policy, and it all good for the United States. Let it develop and feel good about it, because for once we are witness to our nations maritime strategy producing our intended national goals. It is obviously very difficult to stomach in the rapid information flow of the information age, but the desired result is not the United States to manage this problem unilaterally, rather we want to solve this very difficult problem in a multinational way, and we find ourselves on the verge of our desired national objective to dealing with this problem. Not a single US flagged ship has even been approached by pirates (one might say they are intentionally avoided), and not a single US mariner has been taken hostage. After a year of what is often described as sophisticated attacks, not a single action has been taken against the US due to the threat of US response. The United States still lacks any reason to get involved against Somali piracy, and has responded appropriately by doing nothing. 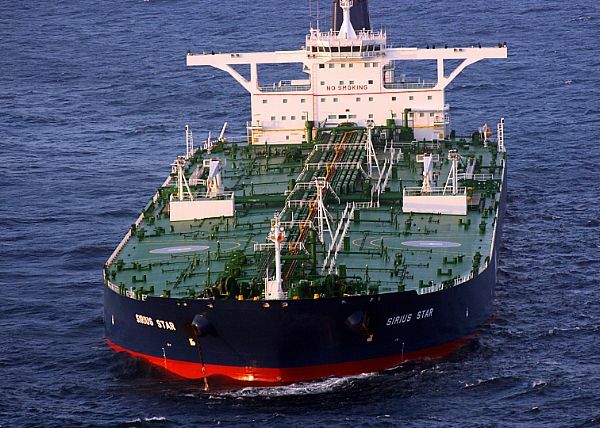 Frontline Ltd., which sails five to 10 tankers of crude a month through the treacherous Gulf of Aden, said it was negotiating a change of shipping routes with some of its customers, including oil giants Exxon Mobil, Shell, BP and Chevron, a move that could boost costs by up to 40 percent. In case you haven’t noticed, the economy’s a bit fragile right now. Big increases in the cost of transport won’t help. Meanwhile, in the good-news department, both the Russians and the Saudis plan to contribute more hulls to the overwatch force, and the Germans might join in later. The Indians, meanwhile, are enjoying the prestige that comes with having shot up a pirate whose occupants were dumb enough to have fired an RPG at a frigate. As Galrahn points out, however, they’re sensing a bit of a leadership vacuum at sea. Exhibit A for the Pakistanis is India’s nuclear deal with the United States, which allows India to engage in nuclear trade even though it never joined the global Nuclear Nonproliferation Treaty. Pakistan, with its recent history of spreading nuclear technology, received no comparable bargain. The nuclear deal was devised in Washington to position India as a strategic counterbalance to China. That is how it is seen in Pakistan, too, but with no enthusiasm. “The United States has changed the whole nuclear order by this deal, and in doing so is containing China, the only friend Pakistan has in the region,” said Talat Masood, a retired Pakistani Army general. They haven’t sold it or the underlying technology to anyone else. There doesn’t seem much chance that US-Indian interests would clash so violently as to invite them to use the bomb against us. Such niceties don’t really seem to be understood in Islamabad. The National Intelligence Council sees the entire international system, in both the economic and security realms, being revamped between now and 2025. Worth a read, just in case you thought the stakes involved in Obama’s presidency were low. The brownish haze, sometimes in a layer more than a mile thick and clearly visible from airplanes, stretches from the Arabian Peninsula to the Yellow Sea. In the spring, it sweeps past North and South Korea and Japan. Sometimes the cloud drifts as far east as California. The report identified 13 cities as brown-cloud hot spots, among them Bangkok, Cairo, New Delhi, Tehran and Seoul, South Korea. To be fair, it’s obviously not just the Chinese who are contributing to such a large-scale problem. But it illustrates that Bush was onto something when he administered the coup de grace to Kyoto on the grounds that it excluded China and India. Meaningful environmental treaties have to take in the big developing economies too.